Heeft u een vraag voor Ampawan Guest House? Een kwaliteitsaccommodatie voor wie geïnteresseerd is in religieuze interesse, bezichtiging van bezienswaardigheden, cultuur: het Ampawan Guest House in Chiang Mai is een prima adres voor zowel zakelijke reizigers als toeristen. Het hotel ligt slechts 0.6 km van het stadscentrum: lokale bezienswaardigheden zijn dus snel te bereiken. Ook gemakkelijk te bereiken zijn Baanping Tempel, Tailor House, Exhibition Gallery - Tamarind Village Hotel. Bij het Ampawan Guest House staan de excellente dienstverlening en superieure faciliteiten garant voor een onvergetelijk verblijf. Gratis wi-fi in alle kamers, wi-fi in openbare ruimtes, autoverhuur, fietsverhuur zijn slechts enkele van de faciliteiten waarmee het Ampawan Guest House zich onderscheidt van andere hotels in stad. Het Ampawan Guest House beschikt over 10 kamers, allemaal smaakvol ingericht voor optimaal comfort, met voorzieningen als kledingrek, handdoeken, internet (draadloos), draadloos internet (gratis), rookvrije kamers. Daarnaast garanderen de talrijke recreatieve mogelijkheden dat u zich tijdens uw verblijf kunt vermaken in het hotel. Wat de reden van uw bezoek aan Chiang Mai ook is, het Ampawan Guest House is de perfecte keuze voor een enerverende vakantie. Goed hotel voor deze prijs op een top locatie!! Simpele kamer, maar op een goede locatie tegen lage kosten! Kortom prima! The room was big but the bed was very hard but that's like most places in SEA. the girl at front desk was friendly and helped out with getting us a bus to Pai and the AC worked good in the room. Super awesome location! Quiet, clean rooms that don’t get too hot during the day (Feb). Good location off a major street but little street noise. A good choice of bars and restaurants within a short walk. Takes longer to get to shopping areas but transport is cheap. Enjoyed my stay. We returned to Apawan house 3 times as our go to spot in Chiang Mai. Quite place away from bass, clean room. Our last stay had a crunchy spring bed, I slept better than my partner. Toilet occasionally had fowl smell rising up from the plumbing and usually around 8am someone starts construction within earshot sawing, cutting, hammering like clockwork. We stayed close by at the Ban Waing house and preferred Apawan. Good location near Sunday Market, East & North Gates, and not too far from the night Bazar. Book it. 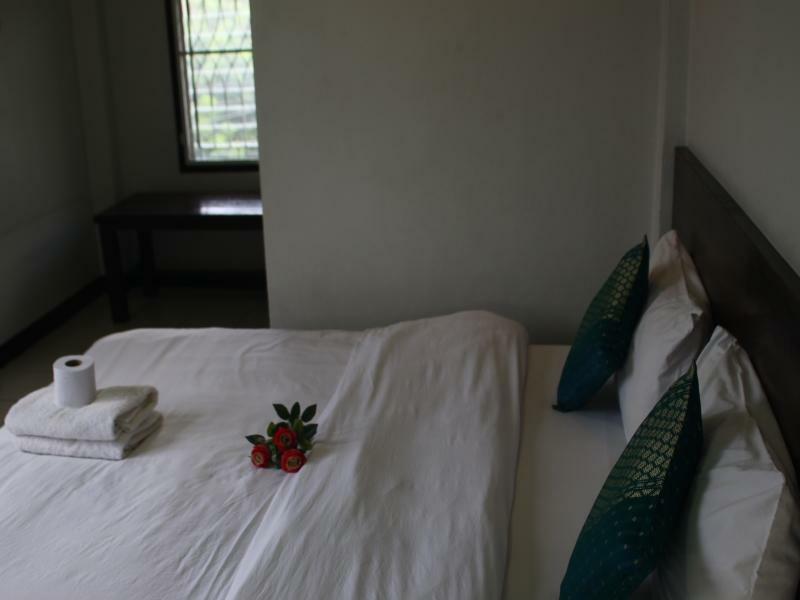 On Agoda, the price of this guest house is the cheapest around this area. On the south, you can find food inside and near Wat Phan On. On the north, you can easily find food near Somphet Market. And it's near to the Tae Pae Gate. Book a room here. We tried other places for similar price and preferred this location. Currently in Pai, will stay here again when we fly out to Laos. Perfect location, friendly staff. No AC necessary. Try to get a room on the third floor. Nice breeze up there with two windows. Don't mind the haters. They must be spoiled because we were very happy here..
Pros- Location is superior, shielded from night time bass. We stayed on the third floor, queen mattress, private bath. Has a chill area outside of room with a table on the third floor balcony. Hot shower! Bed is better than most places, I slept great in the room with only a fan, windows on two walls help the cross breeze. AC not necessary. Easy to check in, no deposit needed for the key. Super easy access to Sunday night market, quick walk too the North gate market, Night Bazar, and pretty much everywhere in the old City. We went to the bar 'Spicy', (also super close) the only after hours club. Cons- If you see people complaining about shower water temp, don't fret! Just reduce the volume of water and the restricted pressure allows the water to stay in the heating element longer and stay hotter. No biggie! Wish I stayed here my while time in the old City, we ventured out to the Ban Wiang guest house around the corner but that wasn't as comfortable. We stayed in the double room with air con on the top floor. Exceptionally clean, comfortable bed with super nice linens, hot- ish shower, nice balcony with table, great location in the old city, quiet, friendly staff, great restaurants across the street (especially ‘Nan’s). 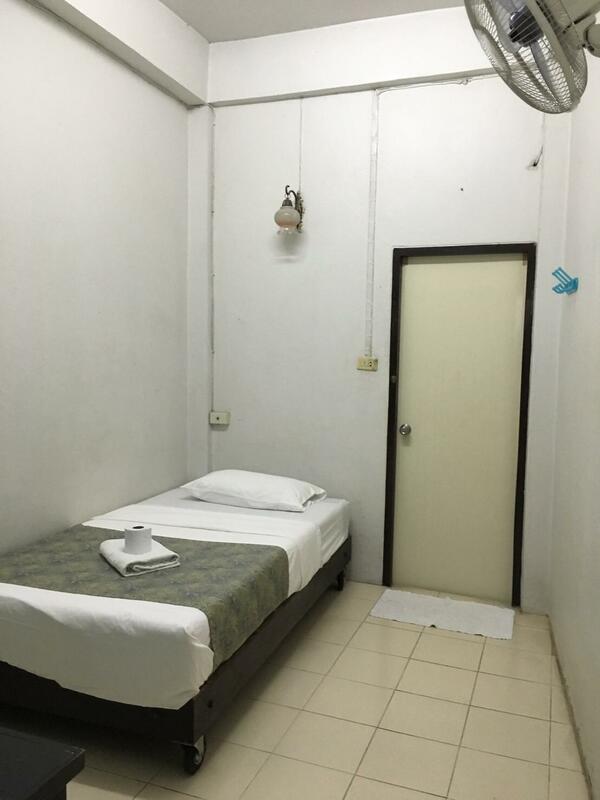 Good value, clean quiet hostel in a location close to most everything in the old city. Was happy the entire 10 days I stayed there. Clean and comfortable, got a good night sleep, private bathroom. Excellent location especially for Sunday walking street market. Freindly staff, good Wi-Fi. Delicious vegetarian food and yoga directly across the street. Good for your money and staff is nice. Bathrooms was remodeled. Although the room was 'clean' the walls were SUPER dirty which gave a gross kind of feel . It came with a fan but it was broken in our room which just needs to be replaced . The bed needs the mattress replaced had springs sticking up at us and made really loud noise Everytime you moved. Very cheep prices though !!! Also in a perfect location. We had booked an air conditioned private double room and after reading the reviews were optimistic before arriving. On arrival there was metal shutters down over the entrance and no sign of anybody even though we emailed to say that we would be arriving at 8pm the time we arrived. Finally someone let us in, however our room had been taken and all the lady could offer us was a single fan room which is the worst room we have ever paid for, we have travelled all over and this was shocking! The air conditioned double room which we had booked for two nights was available for our second night but we decided to cut our losses and move to somewhere far nicer for not much more money. Our advice stay well clear. It is a very old guesthouse, definitely needs some paint job and repairs. The water pipes are probably very old and rusty as well, because the water smells of rust.Let the wayer run a few minutes before using, yo get rid of the stale water sitting in the pipe. The sliding front door to get in the night time is VERY LOUD. Oil it or change it please! The cleaner girl is friendly in general, but she is on the phone all the time, laughing and talking very loud. The reception is abandoned most of the time. With an excellent location, clean beds sheets abd towels and NO bedbugs, this place is a good budget option in the old city. Try to get a room on the 2nd or 3rd floor. They also offer hot water and cups so you can make your own coffee or tea. No one is ever at the reception, we had to wait 30 minutes before we finally found someone to check us in, and they complained we wake them up... Facilities are bad, the bed is extremely uncomfortable. No info. Only good point: you can take the bus from the airport for 20b that stops close to the hotel. But they obviously don’t tell you it exists, and want you to book an expensive taxi instead. Clean, tidy room, vegetarian restaurant opposite with yummy food. Location great for Sunday market and old Town wonder through. No drinking water for free but refill station is not too far and only costs 1bath for 1 litr. A really nice, simple, immaculate guest house. A nice common area and also seating outside by the road. Bed was big and very comfortable. The room was all tile, out of sun so it stayed cool all day! A great part of the city, staff is really friendly, would highly recommend.